The Papua administration has focused on developing tourism in the districts of Biak Numfor and Supiori. "So far, two regions have become a priority for tourism development, notably the districts of Biak Numfor and Supiori," Ysh Is Matutina, head of the tourism office of Papua, stated here, Thursday. Tourism development has been carried out since 2016. 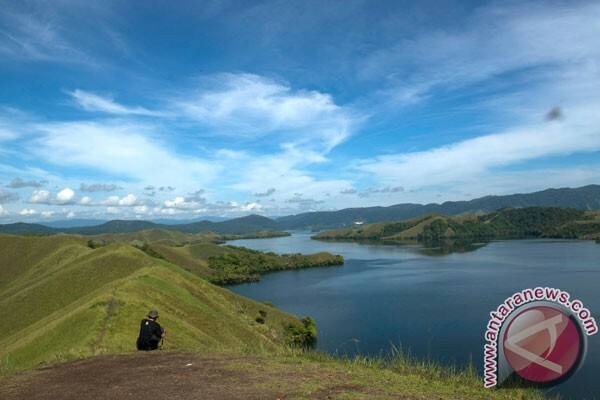 Several tourist attractions and destinations in Supiori have been identified by the local tourism offices of Papua and Supiori. The development is aimed at attracting more domestic and foreign tourists. In Biak Numfor, the priority is to develop the Sausapor Beach. Several other tourist attractions and destinations are also being developed. Meanwhile, the number of foreign tourists visiting Biak Numfor District, Papua Province, increased to 3,399 people in 2016, as compared to 1,779 in the previous year. The increase was the result of intensified tourism promotion activities carried out by the Biak District administration, Enias Rumbewas, spokesman of the Biak Numfor district government, noted recently. Foreign tourists from Japan, the Netherlands, Australia, China, and several European countries, among others, visit Biak. The number of domestic tourist arrivals also surged from some 28 thousand in 2015 to 30 thousand in 2016. Among the existing tourist attractions in Biak are the World War II wreckage, maritime scenery, and its unique cultural diversity regularly showcased at the Biak Munara Wampasi festival. This year, the festival will be organized in July and will feature activities, such as traditional snap mor fishing, Mansusui boat race, and a visit to the Padaido/Aimando islands. The Biak Numfor district government has allocated funds worth Rp1 billion through the local Tourism Office to ensure the success of the cultural festival. Last year, the festival was held on Jul 1-4 to showcase traditional Japanese "katana" vintage samurai swords from World War II.